Seed replacement rate for higher productivity has always been at the core of our agriculture policy. This mandates that at least 25 per cent of the certified seeds should be replaced by improved varieties from time to time to ensure maximum yields. However, though this works in irrigated areas, for rain-fed areas there is a greater need to give recognition to indigenous seeds conserved by farmers. This is due to the fact that limiting factors are different in these areas. While yield per acre/hectare is the driving principle in irrigated regions, yield per litre of water is the driving force in rain-fed areas. Diversity of cropping systems and undulating terrain demands different kinds of architecture for seeds in rain-fed areas. 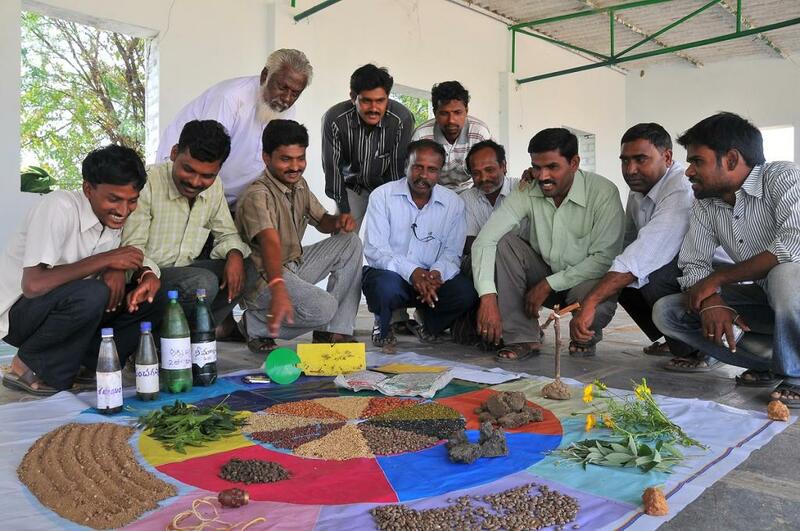 The workshop on decentralised seed systems for rain-fed agriculture held recently at the National Institute of Agricultural Extension Management in Hyderabad brought together experts, who threw light on various innovative local seed system approaches. When it comes to conserving and promoting indigenous seeds, Odisha has met with success. Chakradhar Panda of the Bhubaneswar-based State Seed Testing Laboratory (SSTL) shared the initiative of bringing indigenous seeds into the commercial supply chain by the state agriculture department. Indigenous seeds are more resilient to climate change and grow well in water-logged areas. Also, the presence of good micro-flora presence in them means less use of pesticides and fertilizers, he adds. Designing appropriate seed systems for climate resilience is important in rain-fed areas, especially when it comes to smallholder farmers. According to G V Ramanjaneyulu, executive director of Hyderabad–based non-profit Centre for Sustainable Agriculture, there is a need to develop locally-adaptive seeds in such places. To popularise them, there is the necessity of informal knowledge sharing at the field level through community seed banks as part of the maintenance process. “We need to look at what is suitable for a particular region rather than go for a common variety. Seed distribution and marketing can be done through seeds banks or farmers’ cooperatives,” he says. Krishna Prasad of Bangalore-based organic farmers’ association Sahaja Samrudha spoke about the importance of seed conservation to maintain India’s rich diversity. The association works towards seed conservation and brings seeds savers and producers on the same platform. “We have over 1,000 rice varieties in our collection and more than 60 seed savers,” he says. Prasad also cited the instance of a farmer, who conserves 800 rice varieties. Emphasizing on the need to promote local seeds, Dinesh Balam, programme manager at Hyderabad-based- non-profit Wassan, says indigenous seeds are already adapted to a particular region, and so, there is no need to make an environmental case for them. “One can work through farmer producer organisations and community-based organisations to take the agenda forward,” he adds. Citing the example of Andhra Pradesh, S Bhagyalaxmi, senior programme manager, Wassan, said that the state’s community management experiment is a successful one. For this, the state has identified a block-level community-based organisation which works with farmers. After farmers produce the seeds, the organisation buys the seeds from them. After certifiers test the seeds, they are distributed and supplied. Thus, it is a decentralised system where the government saves a lot of money. How do the stakeholders perceive plant variety protection in Indian seed sector? Lots of base level research work is needed to find out different micro parameters embedded in indigenous seeds responsible to cope micro climatic stress and thereby developing resistance to biotic/abiotic stresses and inculcating these in other popular varieties of other regions of state/nation.